Our highly trained staff members are dedicated to responding with promptness, sensitivity, and integrity. They are thoughtful and compassionate people who truly empathize and understand the difficulties that arise for persons with limited mobility. Each driver has a clean driving and criminal record and has completed Standard CPR and First Aid Training. Each vehicle is built to pass the American Disabilities Act (ADA) requirements. 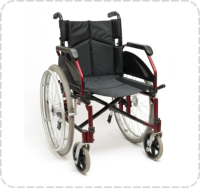 They are equipped with specially operated wheelchair lifts or ramps. 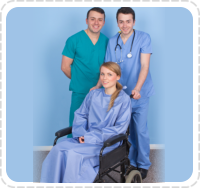 We ensure the smooth transition from hospital to home for many clients who have recently had a surgery or have finished their treatment. We know that their conditions are in their most fragile status. For this, Express Medical Transportation, Inc. will do what it takes to preserve their health and safety while on the road. We are a widely respected provider of Non-Emergency Transportation in Columbus, Ohio.